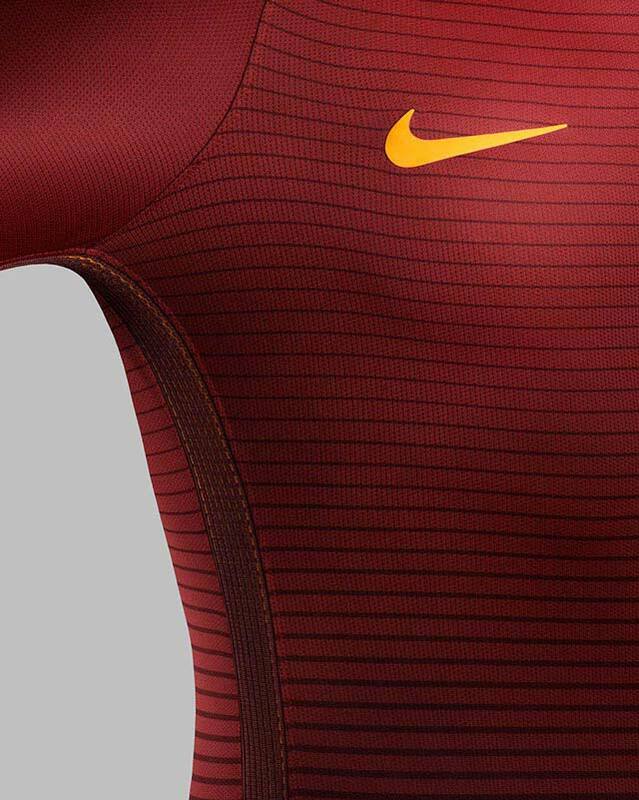 Nike have perfected the art of making Roma tops, and have dropped yet another beaut. 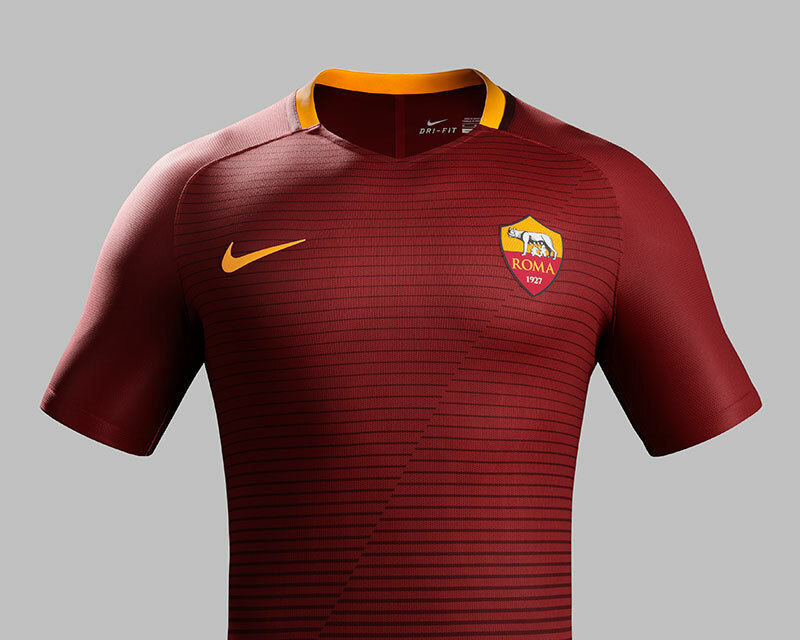 A sleek shirt oozing style with subtle pinstripes, here is the new AS Roma home shirt for 2016-17. 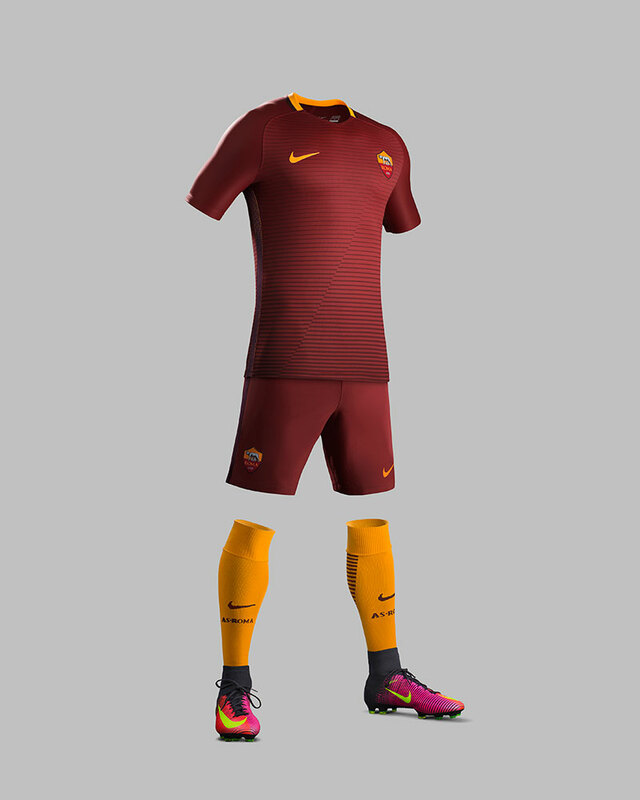 Last year Nike really did hit the high notes with their Roma kit, but for 2016-17 they've just upped their game. This new home shirt for the Serie A season really does feel fresh, but the Roma colours are classics and always bring about a sense of prestige. We're giving top marks to Nike for this effort! The new AS Roma home shirt features dark red horizontal pinstripes, punctuated by a subtle diagonal line from shoulder to hem. 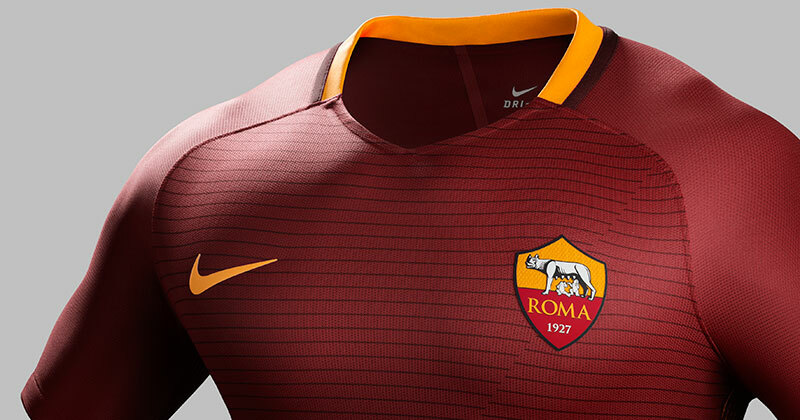 As an ode to club pride, the modern v-neck collar has a yellow band with ‘AS Roma’ knitted on the back. The sides of the kit feature a red stripe that runs the length of the shirt and shorts. Expanding when the player is in motion, the stripe maximises ventilation and reveals an underlying yellow layer. Yellow socks, with a red linear graphic on the calf, showcase the club's traditional secondary color and accentuate speed. Make sure you follow FOOTY.COM on Facebook, Twitter, Instagram and YouTube for the latest kit release news!